What is a Cape Cod Style Modular Home? 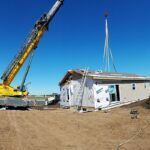 23 Feb What is a Cape Cod Style Modular Home? When you walk into your new home, it should be an extension of who you are. It begins with the style of home you plan to build, continues with the fixtures you add, and wraps up in the decor you choose. For some, they prefer a sleek and contemporary look. For others, they gravitate more towards the traditional. If that’s you, then you can’t get more traditional than the Cape Cod style modular home. This popular cottage-style home originated in colonial New England. It is generally characterized by its low profile, steeply pitched roof with end gables and a multi-level floor plan. The earliest forms had minimal ornamentation on the exterior and were built to tolerate the stormy weather around the New England coast. 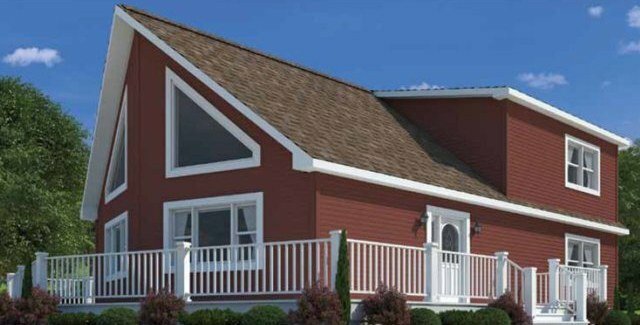 The Cape Cod style modular home is dubbed the quintessential American cottage style. Floor plans are typically cozy and efficient; the exteriors are simple and symmetrical, making them perfect for shutters, pathways, window boxes, and other embellishments. The double cape is often what you think of when you think of a Cape Cod home. Full Capes originally belonged to the most accomplished settlers. They consist of a symmetrical five-bay facade and a steeply pitched roof. The traditional full Cape floor plan emphasizes the keeping room: the kitchen, living, and family room. The keeping room customarily has seven doors. The first door is the back door. The second door belongs to a storage pantry, and the third opens into a small bedroom. The fourth door provides a formal entrance into the “fancy” parlor, the fifth goes into the master bedroom, and the last two doors led to a small bonus room and a pantry area. Although rarely seen among Cape Cod style modular floor plans, the three-quarter Cape has a door with two windows on one side and a single window on the other, and the entry is slightly offset from the chimney. Though this particular style is not common, you can always customize your modular home floor plan to look the way you like. This style was the starter house of its day. The half Cape frequently evolved as subsequent additions were made. A traditional half Cape Cod has a door off to the side, with two windows on one side. To people looking for a particular type of home, the term conveys a warm, homey feeling. Many Cape Cod modular home floor plans take advantage of the high-sloping roof to add bonus rooms upstairs. The additional space can also be used as an unfinished attic. 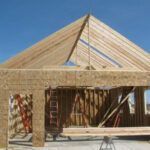 You can keep your options open by building your home with an unfinished attic. If you need extra space down the road, you can simply add insulation and renovate it into additional living space. Cape Cod style modular plans offer extensive design flexibility and modern efficiencies. This makes cape home plans more affordable, resulting in an increased popularity among young couples looking to possibly add rooms in the future. Nothing says “home sweet home” quite like a Cape Cod home, no matter what property it’s on. The comfortable, welcoming environment of these cottages make them a great choice for all types of families. We can customize to your needs, so if you would like more information on a Cape Cod style modular home, give us a call. If you need a modular home built near Goshen IN, contact Joel Comino at Next Modular (574) 202-5161.